AKM AK4118 is the latest launch as a coaxial optical data demodulator chip, which appeared abroad appeared in the million-level decoder chip prices and the effects are far more DIR9001CS8416 WM8805 and other chips. The maximum sense of hearing is the clean, natural, delicate. AK4495S AKM is the fourth generation decoder chip, is the world's first to support 32BIT 768K decoder chip, technically comprehensive than AKM43XX series. 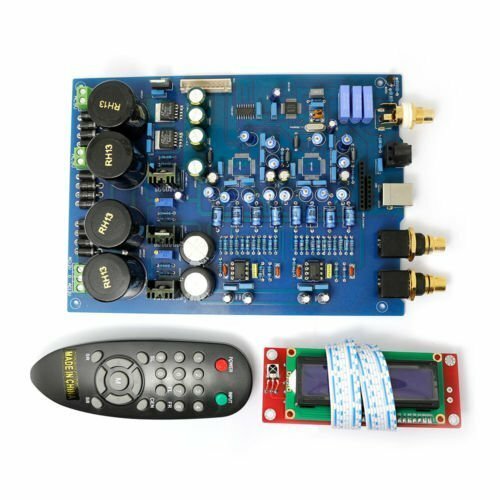 The chip is part of the left and right channels and analog reference voltage using an independent power supply, respectively, effectively reducing crosstalk. AKM AK4497 uses the latest development of OSR Doubler filter THD + N: -115dB, DR, S / N: 127dB (parallel 130dB), PCM sampling rates up to 769K, the highest sampling rate DSD support 22.4MHz, AKM latest development of OSR Doubler filter greatly reduces the effects caused by noise shaping to achieve low distortion of music playback experience. Meanwhile Audio 4 Pro (TM) series chip has excellent sound performance, this is also an important reason we choose this chip!